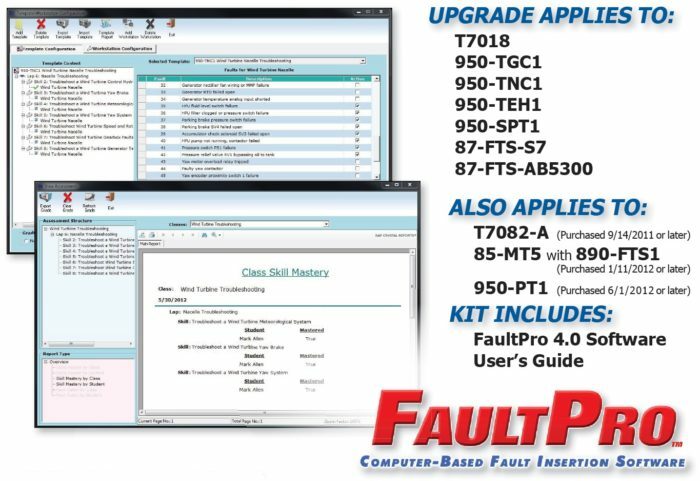 This system includes FaultPro 4.0 software and templates, student quick reference, and FaultPro 4.0 user and installation guide. Applies to FaultPro software issued prior to 6/1/2012. Requires Amatrol equipment with currently installed FaultPro Troubleshooting USB interface, computer with USB interface, and A/C power.